A specific eye treatment to combat fine lines, wrinkles, puffiness and signs of fatigue. A 3 step treatment using galvanic, massage and eye contour mask. 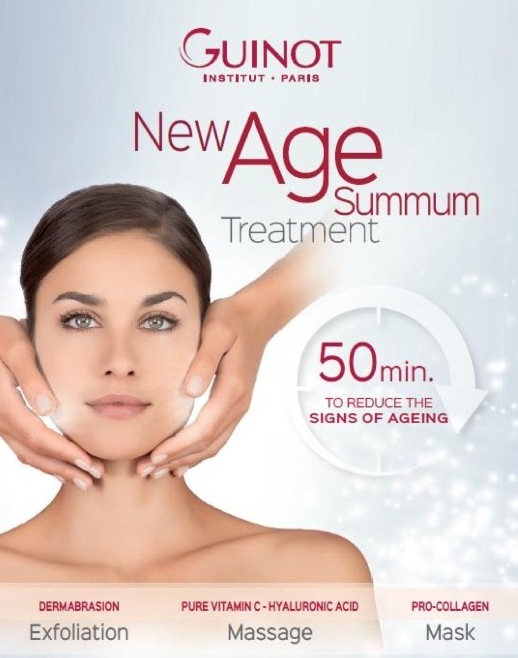 Achieve visible slimming and firming results from the very first treatment with the Techni-Slimming and Tecni-Firming treatments from Guinot. Using an in-depth massage combined with carefully formulated serums and unique body wrap technique, these specially designed manual treatments visibly reduce the appearance of cellulite and restore the skin's firmness. Techni-Slimming body wrap contains caffeine and isoslim complex to prevent fat from building up in the adipocytes, reduce adipose cellulite. It contains horse chestnut to stimulate lymphatic drainage and reduce aqueous cellulite. Techni-Firming body wrap contains crelastin B, alaria esculenta seaweed extract to help to firm and tone the skin. Join our birthday club to enjoy a special birthday offer!